A natural stone garden patio is a great for enjoying the garden even more, This patio has been laid on a concrete base with timber edging to compliment the wooden conservatory, eventually colouring the same. 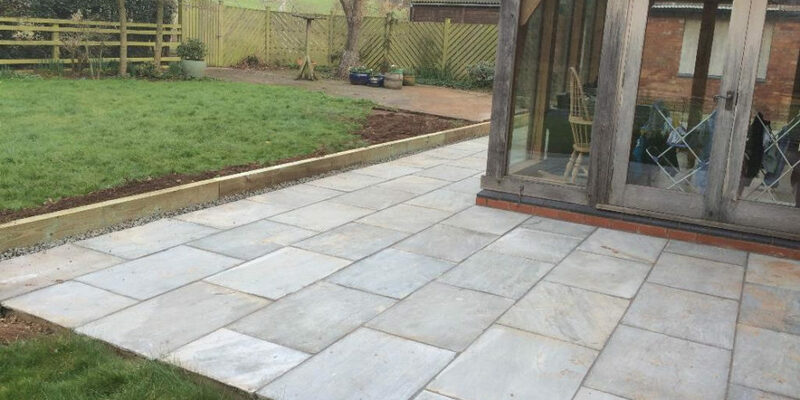 If you’re having problems with your Garden Patio or just want a new patio simply call us For a FREE No obligation quote contact us at Banbury Roofing and Paving. A piece of mind service, we only fix problems not create them.